It's not easy finding a gift for the guy who has everything, which is why my husband's birthday often sends me into a tizzy. But this year I got lucky. Let me explain. I've been drooling over images of Outstanding in the Field's legendary farm to table dinners on my Facebook page for over a year. Described as," a roving culinary adventure-literally a restaurant without walls. Since 1999 they have set the long table at farms, or gardens, on mountain tops or in sea caves, on islands or at ranches. Wherever the location, the consistent theme of each dinner is to honor the people whose good work brings nourishment to the table." As my husband is the ultimate foodie, this sounded perfect. I took a look at their event calendar. To my complete surprise, I realized that not only had they scheduled an event nearby, but of all days, on my husband's birthday! I took this as some kind of divine intervention and proceeded to order tickets. I'm so glad I did. It turned out to be the most lovely evening, and a memorable birthday. The event was held at Thaxton's Organic Garlic Farm in Hudson, Ohio. We lucked out with the weather. It was a picture perfect day to spend outdoors at the farm. 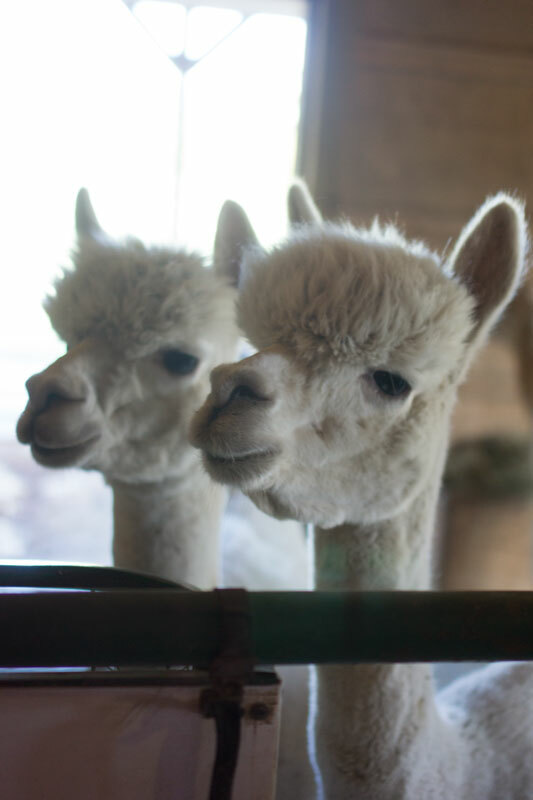 We were taken on a tour by the farmer, where we learned all about growing and harvesting garlic, but my favorite part of the tour was visiting the adorable alpacas. They seemed as interested in us as we were in them! The birthday celebration continued the following week with a small dinner party at our home. For dessert, I made this three layer banana cake with a decadent milk chocolate buttercream. Hey, it's a birthday after all! Preheat oven to 325F. Butter 3 - 8 inch round cake pans, line the bottoms with parchment paper and butter the parchment. Dust the parchment with flour and knock out the excess. In a medium bowl, whisk together the cake flour, bp, bs, and salt. Set aside. In the bowl of a standing mixer fitted with the paddle attachment, beat the butter and shortening on medium speed until light and fluffy, about 5 minutes. Add the eggs, one at a time, mixing for 10 to 15 seconds after each addition until the egg is incorporated into the mixture. Then turn the mixer to low, add the vanilla and bananas, and beat until incorporated. If the mixture appears curdled, keep beating slowly until it looks like it's coming back together. scrape down the sides and bottom of the bowl and mix again for 30 seconds. Add the flour mixture in three parts, alternating with the buttermilk, beginning and ending with the flour mixture. Beat for 10 to 15 seconds, or until incorporated, after each addition. Divide the batter among the prepared pans and use an offset spatula to smooth the tops. Bake for 35 to 40 minutes, rotating the pans halfway through the baking time, until a toothpick inserted in the center of the cake comes out clean. Transfer the pans to a wire rack and cool for 30-40 minutes. Turn the cakes out onto the rack and let them cool completely. Remove the parchment. If making in advance, wrap tightly in plastic wrap and freeze until ready to use. Place milk chocolate in a small heatproof bowl. Scald the cream (do not boil) in a small saucepan. Pour the cream over the chocolate and let sit for a minute, then slowly whisk together until the chocolate is completely melted and the mixture is smooth. Let sit at room temperature for 1 hour, or until cool. In a small heatproof bowl, whisk together the sugar and egg whites to make a thick slurry. Place the bowl over, not touching, simmering water in a saucepan and heat, whisking occasionally for 3 to 4 minutes, or until the mixture is hot to the touch. Remove from the heat and scrape the mixture into the bowl of the stand mixer fitted with the whip attachment. Whip on medium high for 6-8 minutes, or until the mixture becomes a light white meringue and is cool to the touch. Turn down the speed to low and add the butter, a few chunks at a time. The mixture will look chunky and funky and curdled at first, but dont' worry. Increase the mixer to medium and watch the whole thing come together. It will be smooth and silky in 2-3 minutes. Change to the paddle attachment and add the cooled chocolate mixture, vanilla, and salt. Beat on medium speed, stopping to scrape the bowl once or twice to loosen any butter clinging to the sides, for about 1 minute, or until the whole mixture comes together in a smooth buttercream. use immediately or transfer to an airtight container and store at room temperature for up to one day, then beat again with the paddle attachment until smooth before using. You can also store in an airtight container in the refrigerator for up to one week. Bring to room temp. and paddle again for a few minutes until smooth before using. Place one of the cake layers on a serving dish and spoon about 1-1/2 cups of the buttercream on top. Spread with an offset spatula evenly to the edges. Carefully place the 2nd layer on top of the 1st, and again spread 1-1/2 cups of the buttercream to the edges. Place the 3rd layer on top and use the remainder of the frosting for the top and sides of the cake. 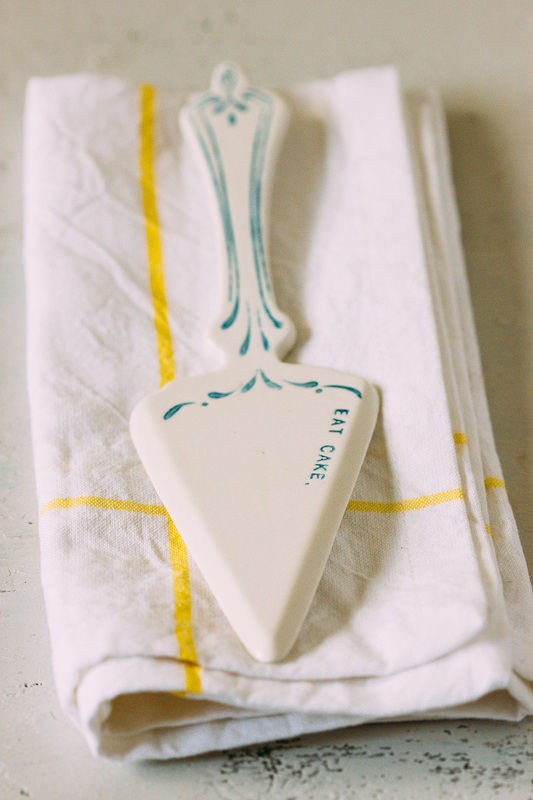 You can decorate the sides by using a bakers comb if you wish, and/or a pastry bag fitted with a star tip, to pipe a decorative line along the top or bottom edge of the cake.